The Mera Peak Climbing with Everest Base Camp Trek are one of our favourite treks and Peak Climbing, we’d be delighted to help you explore this magnificent region in Nepal. Mera Peak Climbing: Climbers of the magnificent Mera Peak (6470m), return with awe-inspired with stories to tell about the thrills of the grand expedition to the top of an elegant, snow-capped Himalayan giant. Located in the Everest Region of Nepal, Mera Peak claims the title of the highest elevation “trekking peak” permitted for climbing in the Himalayas, to this day. From the summit, panoramic views of Mt. Everest, Kangtega, Ama Dablam, Mt. Makalu, Lhotse, Nuptse, and many other treasured Himalayan peaks draw one of the world’s most precious skylines. 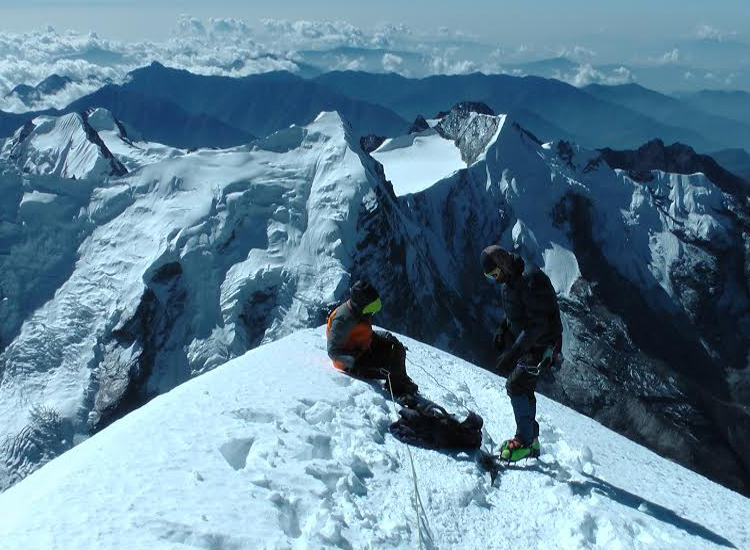 Mera Peak is mostly technically straightforward, and is suitable for novice to expert climbers. Accompanied by a professional, highly experienced guide, the varying skill levels of climbers will be accommodated for, optimizing the best experience possible for each individual climber. 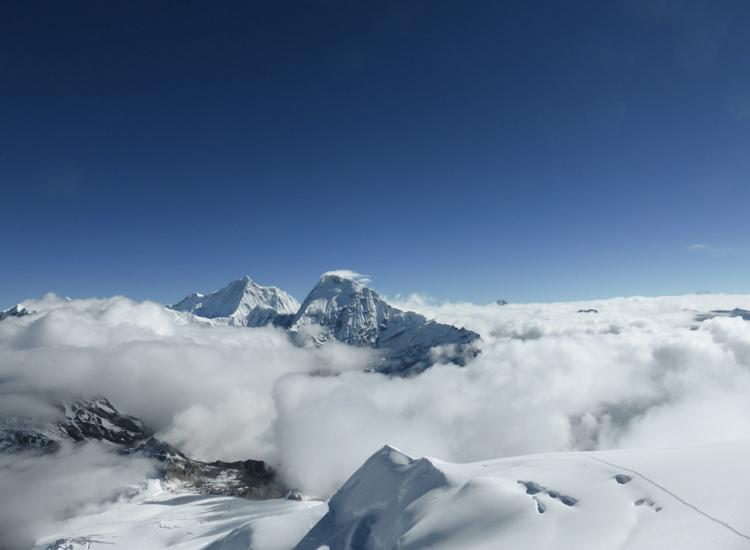 The first people to summit Mera Peak were Sen Tenzin and Jimmy Roberts on May 20th, 1953. 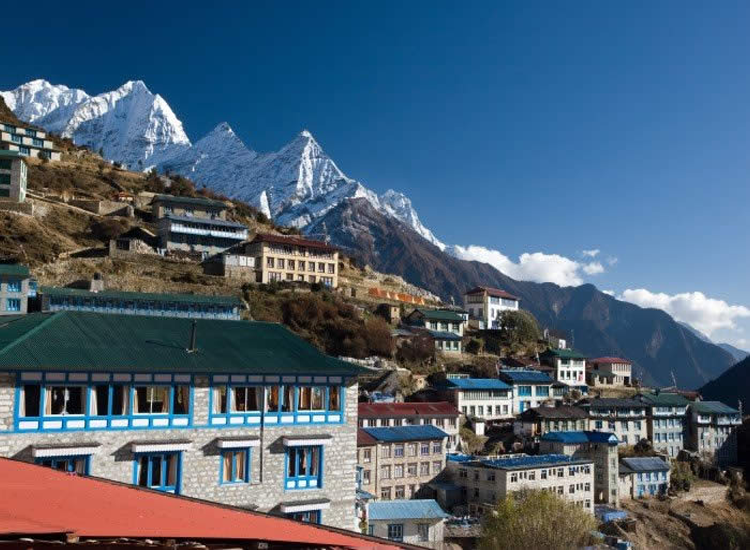 Beginning with a beautiful flight from the bustling city of Kathmandu to the peaceful, gateway village of Lukla to the Everest region, climbers will be trekking through a lush forest with rhododendrons, tranquil streams, and yak pastures on trail. On the traditional route to the Mera Peak base camp, climbers first trek through the dramatic landscapes of the Hinku Valley. In this valley, the local Sherpa people reside. Climbers are welcomed by their warm hospitality, in addition to experiencing and observing the traditions of the Sherpa people - a well-preserved, cultural heritage of the Himalayas. 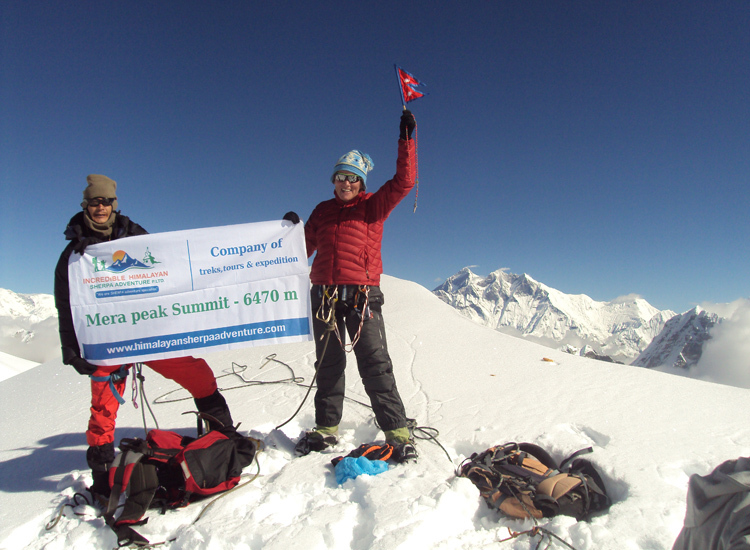 The most popular seasons to climb Mera Peak are from March to May and September to December. 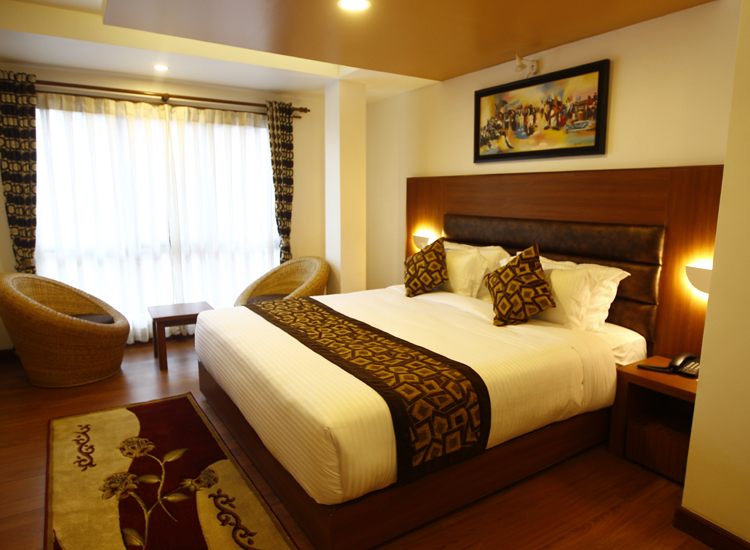 Accomodation is provided in both quaint, traditional teahouses and tenting. The guides will provide a very authentic cultural experience, introducing the local culture along the way. Diverse landscapes of rugged, snowy mountain ridges, and lush vegetation along the trek make for an eye-pleasing and unforgettable expedition. 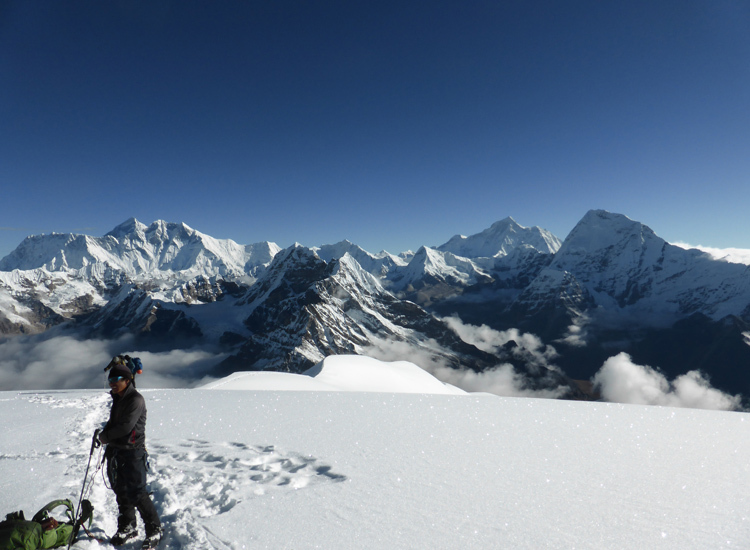 Mera Peak is mostly technically straightforward, but can be physically challenging with high Himalayan altitudes. Therefore, climbers should note that prior training is recommended. All in all, Mera Peak stands a tall gem in the Everest Region in Nepal. Varying levels of climbers are accommodated for by well-experienced guides, for each individual to have the best expedition possible. Encapsulating, dramatic views of snow-capped peaks, quaint villages, and diverse landscapes on the way to base camp, surely take the breath away from those who choose to climb Mera Peak. Offering the tallest permitted viewpoint from the summit of a trekking peak, it is no secret why those who partake in this expedition would consider Mera Peak one of the most beautiful, thrilling peak climbs of the Himalayas. The hidden, natural beauty of Mera Peak is certainly worthy of the challenge. 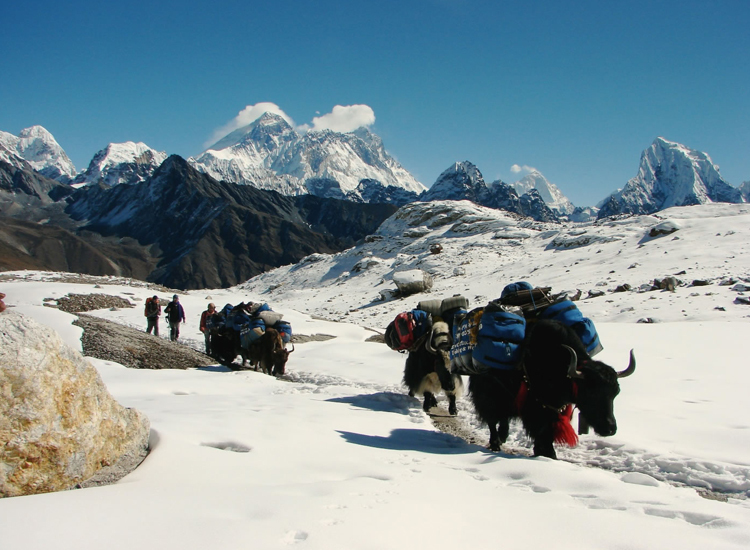 The Everest Base Camp trek: It's one of Nepal's most popular treks and rightly so. 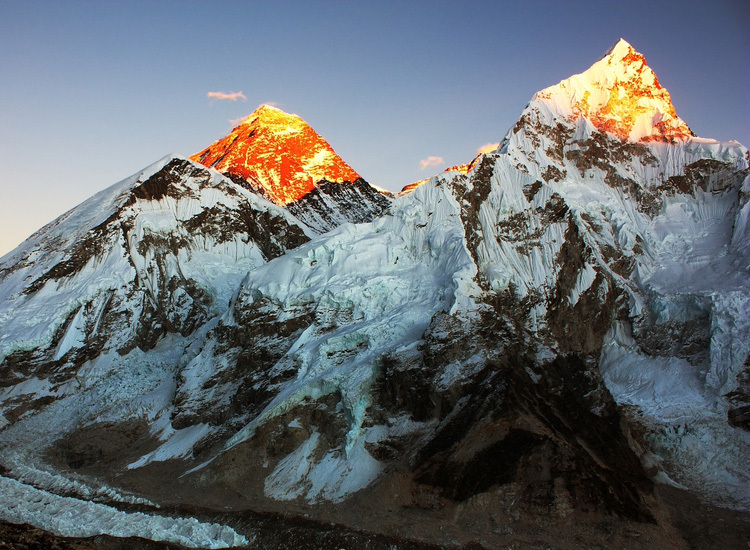 Just imagine standing right at the foot of Mount Everest, the highest mountain in the world. Trekking to Everest - known as Sagarmatha in Nepali and Chomolungma (Mother Goddess of the World) in Tibetan and Sherpa - has a long tradition. The trail is very well developed with comfortable and quirky tea houses along the way. Our trip leads you through the Solukhumbu region slowly up the valley, tracing the path of the successful British 1953 expedition all the way to the Everest base camp. Along the way, you will see some of the most impressive mountains like Cholatse and – the favourite of many visitors – Ama Dablam. If you feel up to it, you can hike up Kala Pathar (5,554m) which offers a magnificent panorama of Everest, Lhotse, Cho Oyu, Pumori, Nuptse and many more famous mountains as well as the Khumbu glacier. traditions and rituals of the local Sherpa people. We put great emphasis on authentic experiences and our professional local guides will introduce you to their culture. All our treks can be booked as private trips - no large, impersonal groups but small, individual experiences. Let Incredible Himalayan Sherpa Adventure take you on your very own adventure climb and trek to Mount Everest and Mera Peak summit. Arriving in a big city like Kathmandu can be stressful for you. Thus, we serve you arrival and departure services for the group! Basically, your trip start with 35mins scenic flight from KTM to Lukla at elevation of 2860m from the sea level. Concerning your fitness and the availability of your time for the trip, you have several alternatives to start the Everest Base Camp trek. If you want to start your trek with the elevation of 1775m and 2410m, Shivalaya via Jiri and Phaplu will be the best for you. 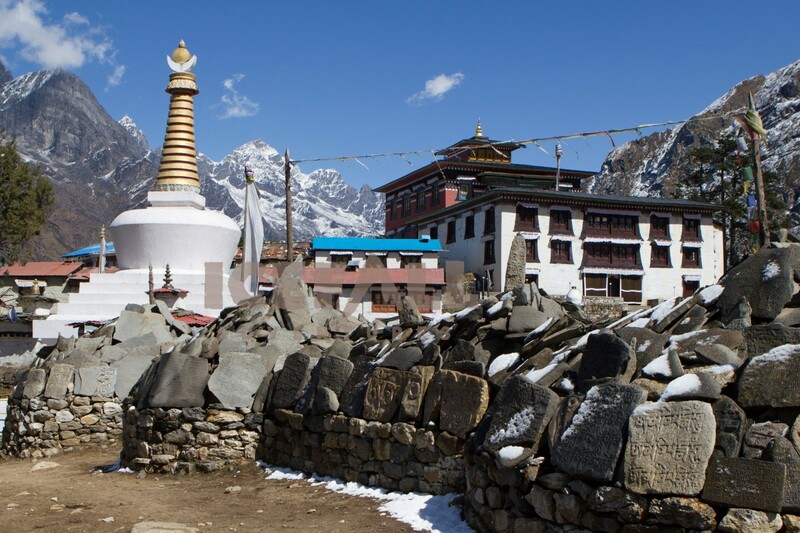 Phaplu is access with both the land and air transportation. But starting your treks from Phaplu and Shivalaya will required 4 to 6 more days. 01 large duffel bag: The Luggage is for to carry all your personal gear on the trekking and this duffel bag company will provide you but duffel to be returned after trip. As well as you can also bring backpack with 65-70L in the place of the duffel bag too. Purification equipment iodine or purification tablets is highly recommended. It is best to bring a mixture of cash and traveller’s checks in a major currency [some currencies are not convertible to NPR]. USD, GBP, CAD, EUR, and AUD are generally fine. Ensure you have also small denominations. As a guideline for baseline spending money we suggest USD 10 - 15 per meal in Kathmandu (if you drink or smoke or plan some major shopping this could be higher). You should exchange enough money into Nepalese Rupees to last the entire time of your trek BEFORE leaving Kathmandu. There are no exchange facilities in the villages along the trail but plenty of money changers in KTM. Tipping is, of course, voluntary but tips are not included in the trip price. The flight from Kathmandu to Lukla significantly reduces the journey time compared to the trek via Jiri (which we also offer). The flight is the shortest and most popular way of gaining access to the region but the mountain weather is notoriously unpredictable and sometimes even during the best part of the season, flights are delayed or postponed for one or more days. We can also arrange for a Helicopter charter from Kathmandu to Lukla instead but this adds significant extra cost. We highly recommend that you take potential delays into account and allow for some extra day in Kathmandu. 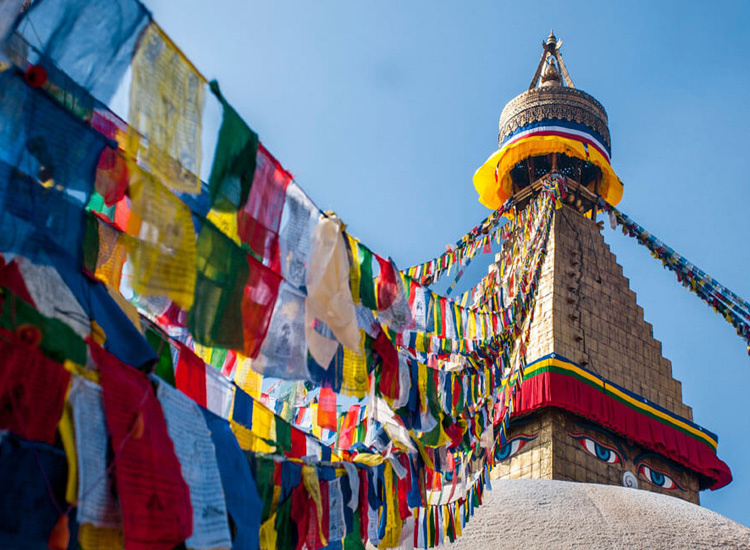 You can use your extra time here in Nepal by doing many exciting activities like rafting, jungle safari, Rock Climbing, Langtang Helicopter Tour Mountain flights or simply enjoy the bustling streets of Kathmandu.